Most young American racing drivers nowadays want to be big names in NASCAR. That is where the money is and where a young man can really make his name. But Ryan Hunter-Reay is not interested. He wants to be a Formula 1 star. Hunter-Reay was born in Dallas, Texas, the same year that Alan Jones won the Formula 1 World Championship. That was 25 years ago. Hunter-Reay has lived most of his life in the more cosmopolitan world of southern Florida where he first started playing around in karts when he was five. He started competing at 10 and in his teens was winning US national titles and then moved into the Skip Barber Formula Dodge series, which he won first time out. He moved on to the Barber Dodge Pro Series and was rookie of the year in 2000 and fifth in the championship and the following year fought for the title with exiled Frenchman Nicolas Rondet, who had more than 10 years of racing experience behind him. 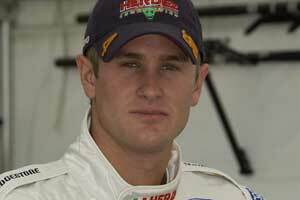 He was a good opponent for the teenaged Hunter-Reay and his performance attracted the attention of Keith Hylton, a former racer whose team had just won the Toyota Atlantic title with Brazilian Hoover Orsi, and was looking for a new star for 2002. Hunter-Reay won three times but the title went to the veteran Jon Fogarty. Thus far, it is a typical American racing story. Typical that is until you find out that Hunter-Reay is not interested in NASCAR. He does not get excited about oval racing and Michael Schumacher is his hero. He wants to be a Formula 1 driver. "It has always been there," Ryan says. "My Dad was always a major race fan. He was really into sports cars but the top of the tree was always Formula 1. We always watched the races on the television. We always felt that Champ Cars was a step down from F1 or a way to get into F1. They were on a par in the early 1990s when Nigel Mansell came over but now Champ Car is where you see the recent F3000 champions in action and so that makes it the logical step before Formula 1." Perhaps it was Montoya that did that or perhaps Zanardi but to Hunter-Reay Champ Car was the way to F1. And after Toyota Atlantics, the next step was Champ Cars. CART was offering money for teams in 2003 and so Hunter-Reay and his father found some backing and set up American Spirit Team Johansson, a team fronted by former F1 driver Stefan Johansson. The cars were old Reynards but at Mid-Ohio Ryan showed what he could do. He was third. There were no unusual circumstances. The kid was just quick. At the end of the year he would win in Surfers Paradise, becoming the first rookie to win a CART race for 20 years. The circumstances were strange, with weather playing a big role that day, but Hunter-Reay came through to win from Darren Manning. "It was an odd circumstance," he admits, "but there were 15 or 20 laps when restarts kept happening but each time I pulled away from the top guys and that gave me a lot of satisfaction." American Spirit Team Johnasson folded up at the end of the year but Hunter-Reay found a ride for 2004 with Keith Wiggins's Herdez Competition and at Milwaukee Hunter-Reay did it again, leading from start to finish to record an impressive victory, the youngest driver ever to win a Champ Car oval race. "I am very proud of my win in Milwaukee," he says. "Some ovals are hard and some are easy but Milwaukee is really hard and we did an excellent job there. It was not easy to win races against Newman Haas last year. They had a damper programme which gave them a huge advantage. We could have finished on the podium on several occasions but things did not work out. You can make all the excuses you want but that really is no good. The truth is we did not get the job done. We could have done better." Ryan intends to do better this year with his new team Rocketsports. His aim is to win the Champ Car title and by doing that get the attention of the Formula 1 team bosses. "The results are the big thing," he says. "If I can do a good job maybe I can get an F1 test. Champ Car is not the same quality as F1 but I think that if you took any of the guys out of F1 and put them in a seat in Champ Car other than with Newman Haas they would not stand a chance at winning straight away. You look at Justin Wilson. He is an excellent driver and highly-rated by engineers but without the right car it was tough. Obviously Sebastien Bourdais had that car although actually I believe that Sebastien would do really well in F1." But why Formula 1? Young Americans can make a great deal more in America if they go to NASCAR. fame I would do NASCAR but my heart isn't in that. I want to be where it is most challenging. It would be fantastic to have an American driver in F1 and I want to be that guy. The driver who gets it will have to deserve: he can't just be there because of his nationality. I'm one of a few Americans who are on the radar screen for an F1 test and I want to be the top of the list when the moment comes. Even if you come through the racing ladder in Europe and do an excellent job it is still hard to get a chance in F1. It takes a lot of lining up the right contacts and making sure that the right things are happening so that you can get your foot in the door. Basically that is why I am trying to go." Hunter-Reay was one of the youngsters chosen by Red Bull a couple of years ago but nothing came of it. Hunter-Reay won't go into details but the word at the time was that the contracts on offer were not ones that the top drivers were willing to sign." Some of the young Americans have tried to go it alone in Europe. "I considered doing that," says Hunter-Reay. "The reason I did not do it was because GP2 is a new series and you have to be careful in such circumstances. You need to be in the right team at the right moment. You know I could come to Europe and finish fifth in the series, which would be a really good achievement in a first season but would it be enough? You have to get used to the environment, the race craft and all the rest of it and you cannot afford any mistakes. In Champ Cars we know where we are. If there are people who want to put an American into F1 they will look at AJ Allmendinger and me. He's good and we have a mutual respect. He has an exceptional opportunity with RuSport but I hope I will do better. After that we will see. I want to drive the best cars in the world and win with them. That's about it really!"